When managing giving through WCF, your client becomes part of our community. Whatever their charitable goals may be, we are here to help maximize their impact to its fullest extent. We offer six options of funds to choose from. As stewards of our community, we understand the power of charity. An unrestricted fund is an option for donors who want to leave an indelible legacy by making a gift to the community of Wichita without putting limitations on who can benefit from it. Our Grants Committee uses careful judgment to select recipients from the community, across numerous areas of need. Several projects associated with the Unrestricted Fund can be found in the Strategic Initiatives section of our website. We can work with you to develop a fund that fulfills the needs of one or more nonprofit agencies of your client's choosing. This type of fund can be gifted to any IRS tax-exempt status organization, anywhere in the nation. Making a gift to chosen organization(s) through a designated fund ensures that your client's legacy fulfills its intended purpose. This type of fund is available to individuals, families, corporations and businesses. The funds are not bound to a narrow pool of approved causes. We'll partner with your client to support the causes or charities they choose. And if they would like their children to join them on this journey, they may name them as advisors to the fund. Field of Interest funds target a various organizations across the community who share a specific need. Funds may address the needs of the homeless, community engagement, or educating children, among many others. These funds are a great fit for a donor with big ideas, but needs help refining them. As citizens of our community, we are invested in the financial health of our local nonprofit organizations. We work with them by matching their needs with available grants and providing low-cost investing and fund management services. We also partner with anyone serving on a nonprofit board to create financial solutions. We understand that finance management can be cumbersome for organizations who are not equipped to handle the work. Management of agency funds at WCF includes auditing, investing, and tax services. At the Community Foundation, we believe that we owe ourselves and our community a better future. If your client wants their legacy to help make the next generation stronger, they can consider opening a scholarship fund. Through our donors’ generous gifts, we help make higher education possible for more than 30 students every year. Our staff will work alongside you and your client to tailor a fund that meets their charitable ideals. These funds include a simple and efficient online application process for students at no extra cost for donors. We’ll be your client's partner as we sift through all of the details, including understanding guidelines and the selection process. Questions, comments or ideas? Contact us! 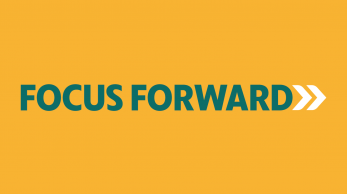 Focus Forward is a multi-year, deep-dive predictive analytics project about the region’s future economic growth. Sign up for email updates and stay informed of the latest news and happenings at the Wichita Community Foundation!